We grow your conversion rates to their highest potential! Giving you the best results. We're proud of our work & we love to show it off. Receive accurate and in-depth reporting. 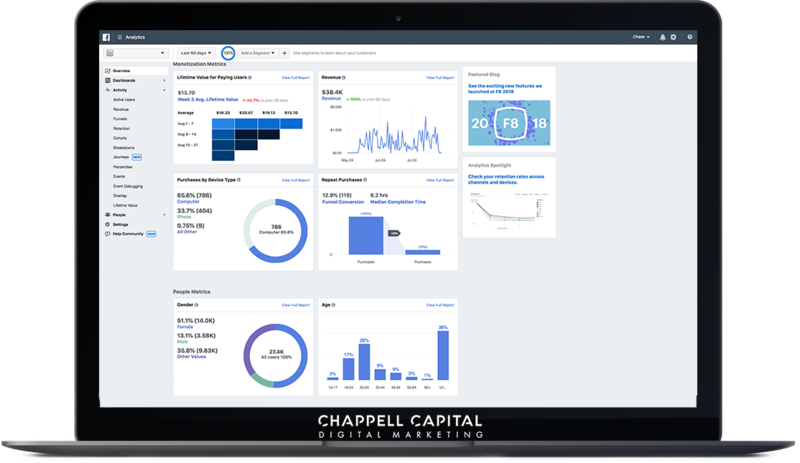 Your account will be constantly analyzed & optimized to yield the very best returns. Real time access to a fully customizable analytics dashboard. So you can monitor the progress of our services and see if objectives, goals, and results are being met. Generate leads on demand. We focus on generating leads for you on Facebook for the lowest price possible using our proven, time-tested Ad strategies that work day in and day out like clockwork. We instantly respond to every message. We set up instant response messages for commonly asked questions. So you can remain super responsive and rank higher on Facebook.